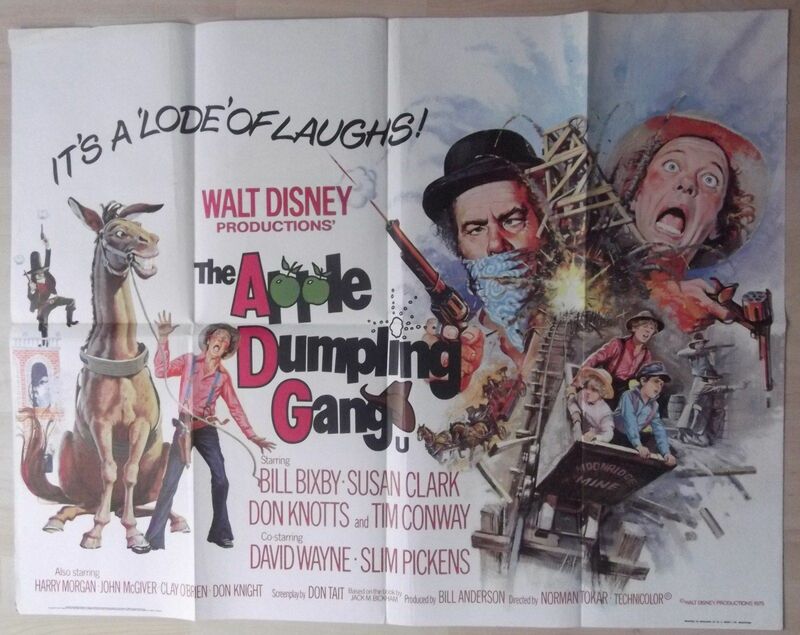 Original 1975 UK Quad poster from the Walt Disney comedy western ' The Apple Dumpling Gang ' starring Bill Bixby, Susan Clark and Don Knotts. 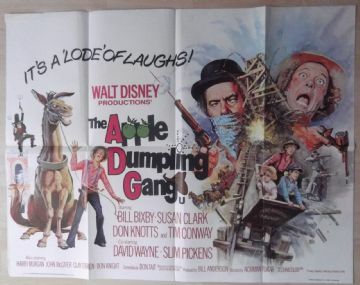 This poster is in VG-Fine condition and measures 30" x 40". It has the tiniest edge wear. Great looking image and nice colors to this poster.